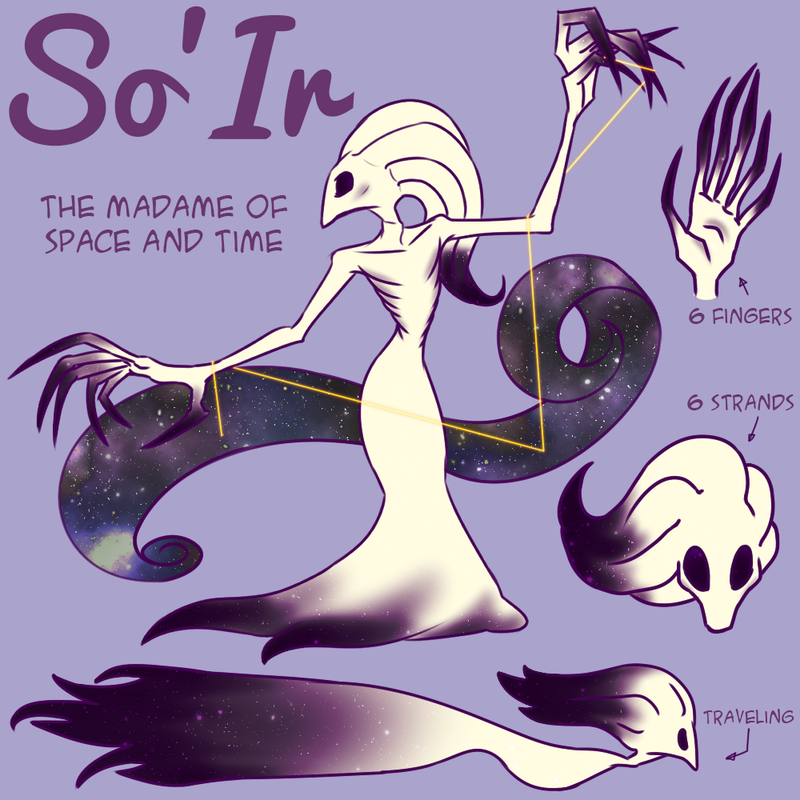 The Madame of Space and Time. She is in charge of weaving the course of history for the known and unknown universe. She is also in charge of removing any... mistakes. Very tall, very quiet and generally stays out of any sort of affair. So'Ir shows favor to most crafters and can be called upon through the use of nickel, cotton, rosemary, purple, gold thread, or the number 6.